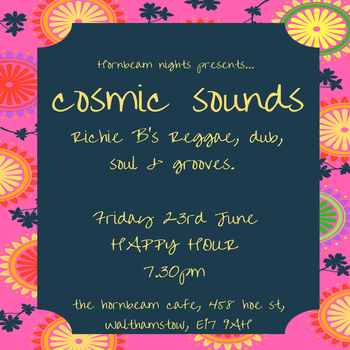 We are proud to announce an evening with Richie B bringing us the smoothest selection of Reggae, dub, soul & grooves. Drinks, cocktails, lazers and a little dance floor action. We stock local ales, bio dynamic & organic wines, spirits and soft drinks.